Most of us have at least one relative who is difficult to shop for. Many of us, in fact, would probably enjoy a visit to the dentist rather than try to figure out what to get the person who seemingly has everything. This post is here to keep you out of the dentist’s chair and keep you breathing easy this holiday season. Sure, you may think that store gift cards and prepaid credit cards are impersonal, but remember, the holiday season is about enjoying time with your family. If you’re a bundle of nerves before the actual exchange of gifts while figuring out what you’re going to do, then you’re missing the point. This gift shows that you do care, and it gives you the peace of mind to enjoy the holiday season. Despite all the magnificent films and shows depicting a future where nutritional needs can be satisfied with a pill or blended beverage, we still need to eat or drink. Yes, even your difficult relative eats and drinks. If you’ve watched them at parties, you may have seen them devouring canapes or hovering over artfully arranged platters of fresh fruit. Use these memories and remember exactly what it is your relative enjoys eating. There are plenty of businesses that specialize in fresh, edible gifts, and who are happy to issue gift certificates. Perhaps your relative prefers a fine liquor rather than food. Well, that’s a prime opportunity to keep an eye out for Black Friday Whisky deals. 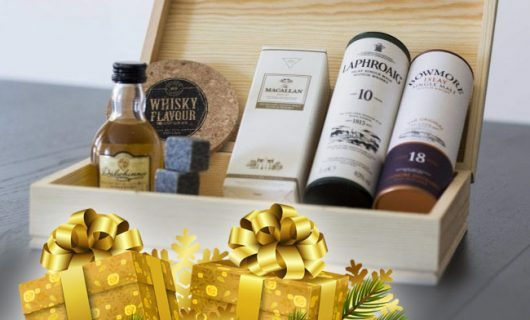 Online retailers and brick and mortar stores offer fantastic prices on some of the finer brands of whisky on Black Friday, and you can save some money while buying for your difficult relative. Or, worst case scenario, you can buy yourself a large bottle to help you through the holidays.